One of the most common mistakes of startups, planning to enter the foreign market (in particular, an English-speaking market) is the refusal to test content strategy in their home region. There is a simple rule. If the content is interesting to readers in one country, then it is likely to be interesting to the audience in another. This refers mainly to the practice of using the translated content from the West on local markets, but it can be applied in reverse. Content creation for the home market will be faster and less costly. This will allow you to quickly and cheaply test the chosen topics for publications to see what is interesting to users, and what is not «catchy» or may even cause an adverse reaction. Similarly, if you plan to work with the media, you should try to start by cooperating with your home country editions. If they don«t take the material, the chances of selling it abroad to more famous international groups are unlikely. This mistake is universal and is made by the vast majority of leaders of startups. Everyone wants to get into TechCrunch, but the fact is that when discussing «free» publication, rather than native advertising, there must be a benefit to the company, and the periodical as well. Here you should ask yourself the following questions, «What will the publication of an article about my project contribute to the editors of a well-known resource? Will it be able to attract traffic? Does it contain interesting and important exclusive material?». If honest answers to these questions are harmful and even team members of a startup realize that the primary objective is to promote the product, attract customers and so on, it is a one-sided game — and publications have no reason to accept it. Only «hype» projects that work in a hot niche — like blockchain or, earlier, chatbots can count on such publications. If some large foreign fund has invested in the project or a top start-up incubator program accepts it, this will also increase the chances of getting the published. In itself, the desire to get onto the pages of well-known publications does not solve this problem, so you need to objectively assess their strength and not even try to insist, especially when you have a small project on a topic not related to current trends. It will be much more useful to start with the niche editions — to get published there initially and then, with links to those materials, to move on. This is what we did when we developed a chatbot. 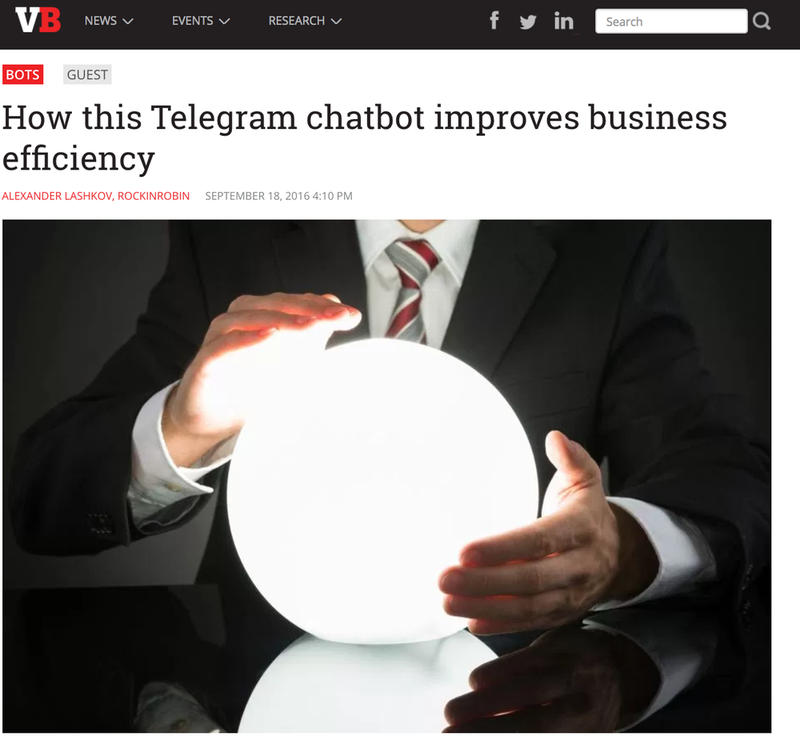 First, we wrote the material about a product for a niche online resource, Chatbots Magazine, and then we were able to publish on the same topic, on VentureBeat. In some cases, representatives of business mix content creation and distribution topics. Sometimes it can take extreme forms. For example, in our experience, there was a case when one of the customers wanted (at the price of a standard content promotion package) to get content in different languages, to be published in the media of several target regions, including the Middle East, Asia, and Latin America. To solve this problem in the framework of a standard budget for the creation of materials in English is impossible. Especially, considering that you need not just to create texts in multiple languages, but also to analyze the media markets of the countries to find suitable blogs and the media to which that content can be offered. If you need to have PR and content marketing campaigns on a few foreign markets, it will not be possible to do that is on a minimal budget. In addition to the content contractor, the services of local PR agencies, which have a current media base and blogs, will be required and they will offer the materials to a suitable publisher. It«s worth the money. It is essential to understand the format of possible collaboration when working with the media. As mentioned above, it should be beneficial for both parties. Startups get audience coverage, and the resource needs interesting content. If you need to talk about the product, you should prepare for the fact that you have to communicate with the sales dept and to pay money. Otherwise, you need to create useful and interesting content which may not have a company reference at all. And if it is mentioned, it should be interwoven into the context of the narrative so that it can«t be removed. When discussing the content сreation services, some customers require the registration of a guarantee of the release of materials in specific media. The truth is that no agency can give such guarantees. In a chain from an idea of the material to publishing it on the pages of specific media there are several steps, and many of them can«t be controlled by the content-marketing agency. At each stage of the preparation and negotiation of the material, anything may happen to impede the final success. The customer did not give the quality input: the shortage of time, an expert got sick or retired, an unwillingness to spend the effort, and potentially the contractor is forced to take the material out of the air, which makes it unlikely that quality content can be produced. This then limits the chances of the content being accepted by the media outlet. Contact with editorial staff couldn«t be established — one of the most common causes of failure. Journalists may not reply to letters or messages even if they have answered before. You can’t force them to contact you. Taking into account all of the above, it is clear that only unscrupulous contractors who either deceive the customer or merely bribe the editors can provide guarantees for publications in specific media.